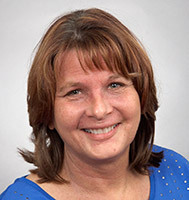 LaMae Roberts has been a provider in dermatology since 2000. She is dedicated to providing quality care and patient education for the general dermatology population. Her areas of interest include providing a comprehensive skin evaluation in an effort to detect, diagnose and treat early skin cancer(s). She provides patient centered evaluation and treatment for a variety of common skin diseases and concerns, including but not limited to eczema, psoriasis, acne, warts etc.